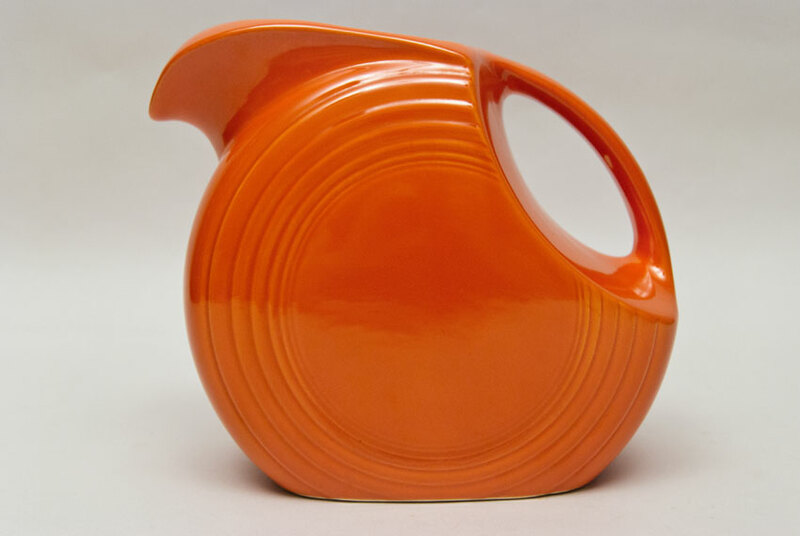 Circa 1936-1943: The Fiesta disk water jug may well be the most universally recognized form that is so distinctively vintage fiesta pottery. 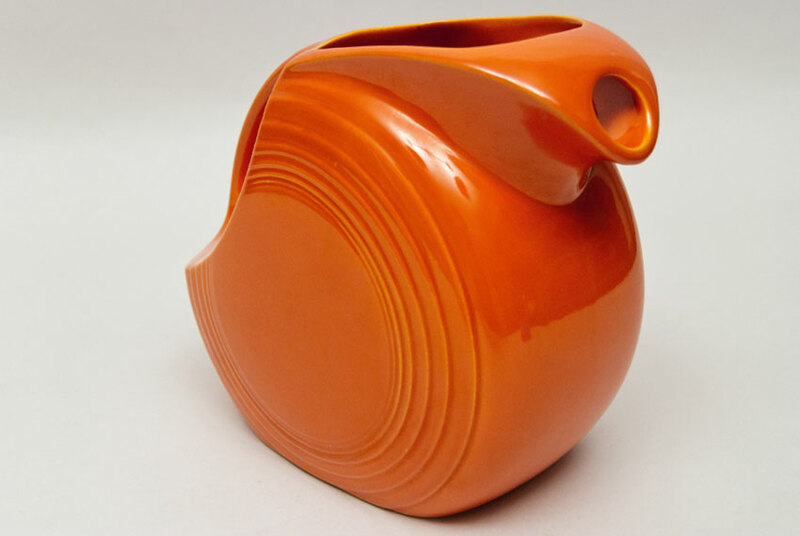 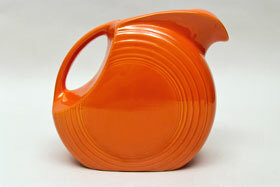 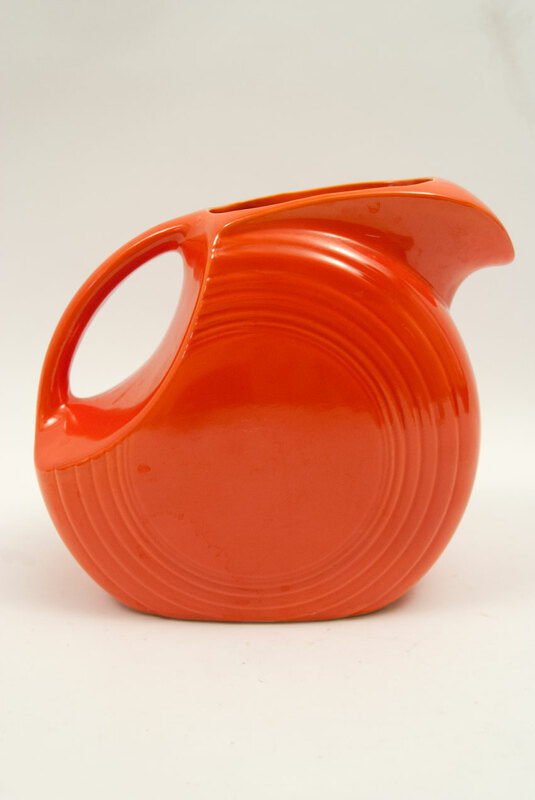 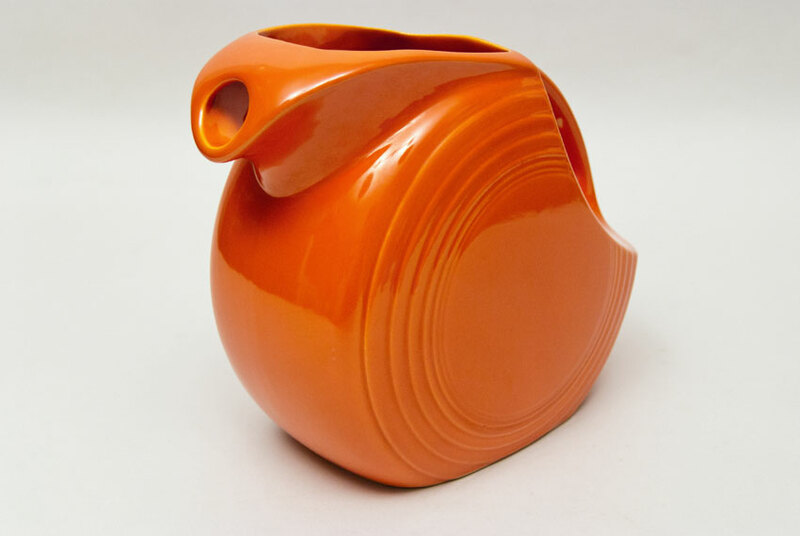 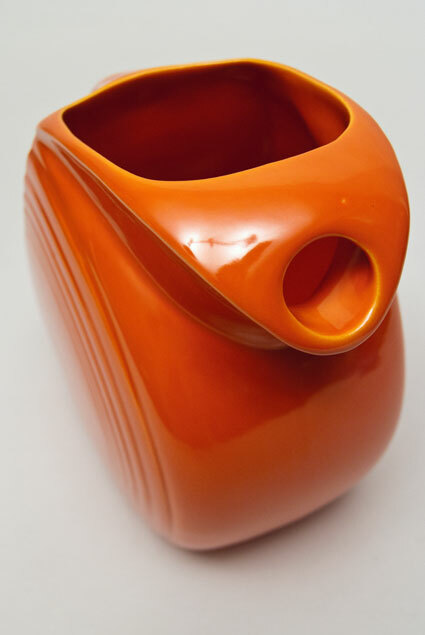 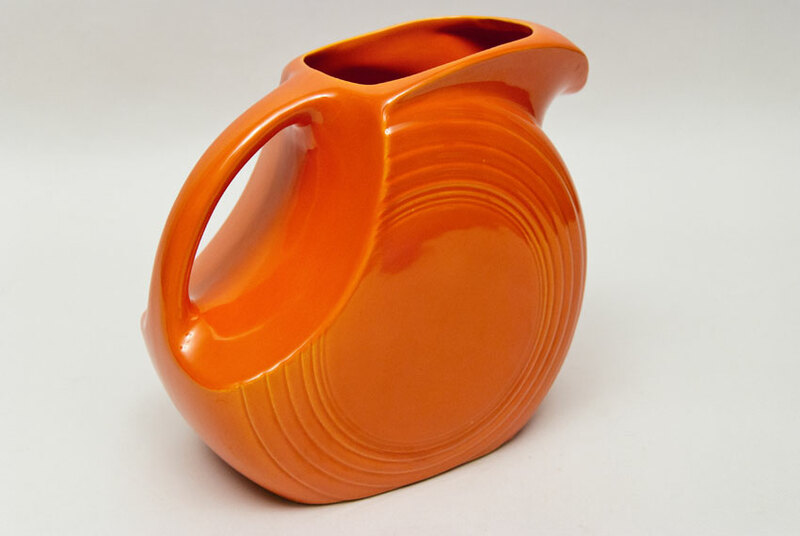 The disc shaped pitcher was introduced in the early spring of 1938. Large, but not overwhelming, the fiesta pitcher holds 71 ounces and stands 7 1/2" tall. 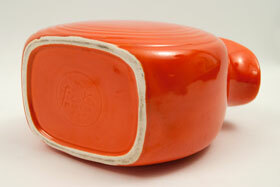 This example in the original red is in excellent shape with no chips, a great even glaze, nice and shiny and impressed in the mold with the "HLC fiesta MADE IN U.S.A" mark. 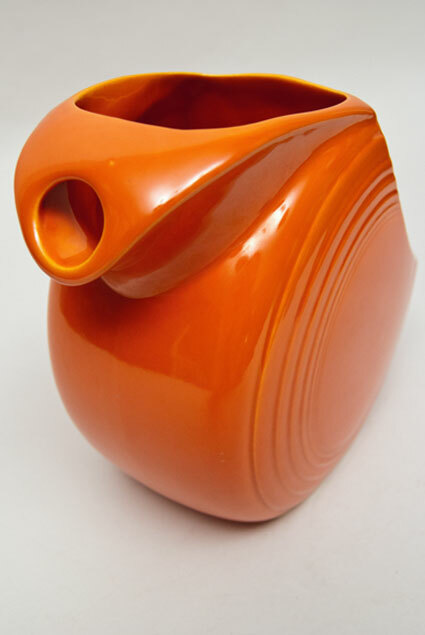 This example has no damage and will make a great addition to any collection. 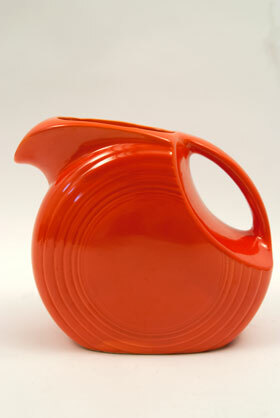 Measures 7 1/2" tall x 8 3/4"w x 5"d.